Glentree is one of the longest established, independently owned estate agents in North West London. We are proud to offer a unique blend of disciplines and institutional reliability with entrepreneurial DNA. We have three mature departments brimming with the latest stock of the finest properties. Glentree International, Glentree Rentals and Glentree New Homes. Our long experience gleaned over 40 years of trading (spanning three recessions) gives us a unique insight into the industry. Our ‘market intelligence’ allows us to offer you the most comprehensive selection of quality residential properties, for sale and to rent within our catchment area. View Blog The Glentree blog page is jam packed with unbridled comment, as to the current state of the Residential Property market, together with the ramifications of the latest political and economic events happening in the UK and Worldwide. Keep up to date with what is happening in the property world with Glentree’s Managing Director’s sharp insights, take a look through the wide range of properties we have for sale and rent, and see the selection of developments our New Homes team currently have to offer. Welcome to Glentree Estates: Estate Agents selling quality homes in North London & North west London . At Glentree we specialise in all aspects of property sale and rentals and focus on the London areas of NW11, N2, Highgate, Hampstead, Hampstead Garden Suburb and Kenwood. Whether it is your own house for sale or an investment property our best Hampstead estate agents are able to a guide you through the process of buying, selling, renting and developing quality property within North and North West London. We are the longest established, independently owned North west London estate agents. 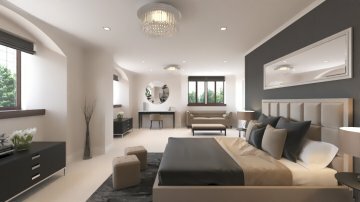 We also have a first class new homes division specialising in luxury new homes, flats & apartments within Highgate Flats & Apartments, North and North West London. We have an enviable selection of new London apartments houses for sale and rent. Our reputation for dealing in some of the finest and most valuable "trophy homes for sale" in the country, via Glentree International, is second to none. Our dedicated team of letting agents Hampstead, Highgate & kenwood are one of the most experienced in the industry. We have made waves in the media for selling some of the worlds most expensive residences. Speak to the best Highgate letting estate agents, to find property to rent NW11. Contact our team of excellent Kenwood letting real estate agents and best letting estate agents Hampstead for luxurious apartments and house for sale in North west London. Interested in buying, selling or renting a house or apartment in Highgate, Hampstead, Hampstead Garden Suburb or Kenwood? Buy luxury homes for the best property sale prices - so call our consultants of luxury real estate agents now! 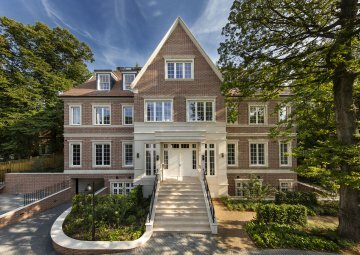 New Homes Luxury Real Estate Agents selling properties in Highgate, Hampstead and Kenwood. Our expert luxury real estate agents are here to help you with any property related issue whether to purchase a residential property, or rent an exclusive house in North west London. Whether it's your house or an investment property for sale, we are ready to help you. We have an enviable track record. In the last 25 years Glentree Luxury real Estate agents has had more property for sale in Hampstead, Hampstead Garden Suburb, Highgate and Kenwood than anyone else. Contact Glentree Estate & Letting Agents, to avail of the right property sale prices and for the best Highgate, Hampstead and Kenwood lettings available. Our long experience gives us a unique insight into the property industry. If you are looking for the best Highgate, Hampstead and Kenwood lettings or a property for sale or NW11 house rentals Highgate, Hampstead, in North London or in North West London, our comprehensive selection of properties and our team of luxury real estate agents is hard to beat. Our letting agents have in depth knowledge of Hampstead, Hampstead Garden Suburb, Highgate, and Kenwood. We attract applicants and tenants both locally and globally from the major financial capitals of the world and our property listings of international contacts are exceptional. Glentree luxury real estate consultants hold keys to wide range of properties and spacious apartments for sale. Principality, Winnington Road, View Road, Ingram Avenue Property, Treetops, Cannon Hall in Hampstead , Dryades, Heath West in Hampstead and many other elite properties in Hampstead, Kenwood, Hampstead Garden Suburb and Highgate. 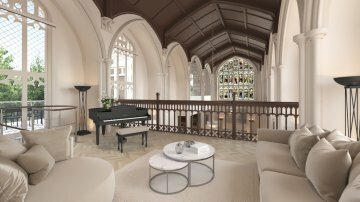 Click here to know more about Highgate luxury real estate, Hampstead garden suburb, properties for rent NW11, N2, N3 and N6 and Hampstead property sale. Our Hampstead luxury real estate agents have listed other properties for sale - West Heath Villas, Woodlands. And many must-see houses for sale in Bishops Avenue - Billionaires Row. Our New Homes Estate Agents have sold many popular properties like - Highfields Grove in Highgate, Jersey House in Bishops Avenue, Grange Road, Highgate,The Bishops Avenue, Silverwood, Sheldon Avenue in Highgate, Caenwood Court in Hampstead Lane. Enquire more details about luxury new homes and apartments for sale - Call to book a visit now. Our firm is headed by Trevor Abrahmsohn, a veteran luxury real estate agent whose many property sales and house dealings has brought him into contact with some of the world's most famous personalities. Our newly refurbished office in North West London, with the addition of private client parking facilities, provides a luxurious atmosphere to showcase the houses and apartments we sell and rent. We believe in the old-fashioned ethics of hard work, professionalism and commitment, which are the bedrock of our ethos, and we set ourselves the highest standards of integrity in our dealings in the property sale and house and property rentals in Highgate, houses for sale and to let in Hampstead, houses & flats on rent in Bishop Avenue London. Browse through our latest property listings by our New Homes estate agents ranging from luxury houses, flats & apartments by the best North London & North west London estate and letting agents in Hampstead, Highgate and Kenwood. From 3 bedrooms to 11 bedrooms with top class amenities - find convenient apartments and properties for rent in N2, NW11, N3 and N6 and house rentals around North London. Find a house to let in NW11, N2, Hampstead Garden Suburb, Temple Fortune or surrounding areas.